Hundreds of open borders activists camped outside of Portland City Hall in Portland, Oregon, on Sunday to protest the U.S. Immigration and Customs Enforcement (ICE) agency. 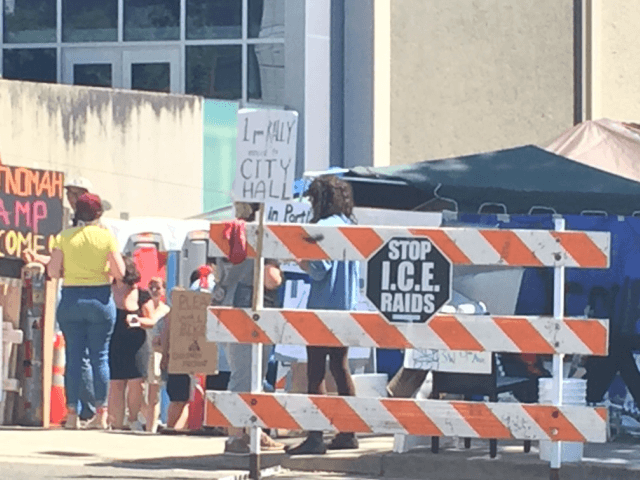 The group Occupy ICE organized the protest, which had initially been scheduled to take place outside Portland’s ICE facility on Southwest Macadam Avenue before it moved to its location outside City Hall. Demonstrators at the event called for abolishing the immigration enforcement agency, a proposal many left-wing activists have long pushed for in their efforts to stop the deportation of people who cross the U.S. border illegally. Several hundred people stood outside Portland City hall holding signs saying “Abolish ICE” and “ICE=Trump’s Gestapo” as speakers shouted on their megaphones. After the speakers rallied the protesters, the group marched to an encampment outside Portland’s ICE facility. The protest had been part of an eight-day demonstration outside the Portland ICE office, the Oregonian reported. The protesters’ encampment forced the Portland ICE office to close its doors temporarily. Similar protests to shut down the agency have cropped up in New York City, Los Angeles, and Tacoma, Washington. 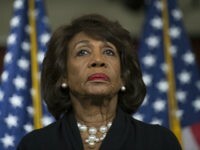 Although many protesters across the country have called for ICE to close its doors, one House Democrat lawmaker introduced legislation Monday aiming to get rid of the federal immigration agency. Other open borders activists throughout the U.S. have taken a different approach in their protests against the Trump administration’s immigration policies. Activists and celebrities began partaking in a 24-day hunger strike to protest the administration’s “zero-tolerance policy” on illegal immigration at the U.S. southern border.